I don’t remember when I got my first cookbook, but I know it was definitely in the late 80’s. 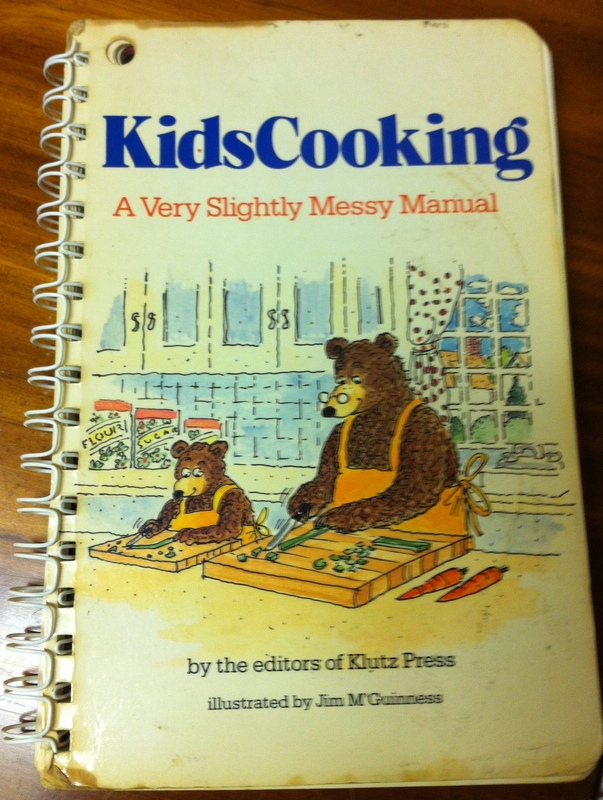 It’s called Kids Cooking – A Very Slightly Messy Manual. As you can see, it is VERY well loved. I can’t remember the last time I actually used this cookbook, since all the recipes are ridiculously simple and most of them aren’t interesting to me any more. However, the chocolate chip cookie recipe is to die for. I made those cookies ALL the time when I was a kid. I haven’t made cookies in a good 5-6 years, so maybe it’s time for me to consider baking again. Over the years I’ve accumulated an interesting variety of cookbooks – some were bought because they were compilations that were sold as fundraisers, a few are the cookbooks filled with the recipes that are used at the retreat centre that my parents run, I have a few specialty ones (bread, crab/seafood, chicken, slow cooker), and a couple other really random ones. In the last 2 years or so, I’ve changed my diet a fair bit. I now have a mainly vegan diet. I already limit my dairy intake due to my lactose intolerance, but meat is featuring less and less in my cooking these days. I rarely touch red meat because it’s never digested well, but these days I’ve begun limiting the amount of poultry I eat as well. I’ll never cut seafood out of my diet, so I’ll never be a true vegan, but it’s interesting to see how my eating habits have changed as I get older and learn more about food and cooking. So, with these changes comes a desperate need for new recipes. I’ve found lots of great sites and recipes online, but there really is nothing like a good cookbook for inspiration. 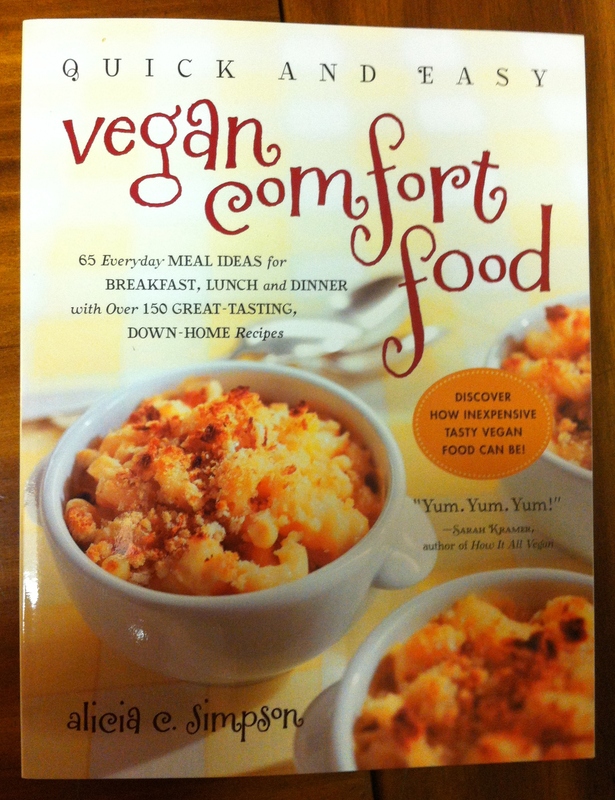 I recently got an Amazon gift card, so I decided to spend that on a shiny new vegan cookbook. I saw this in a bookstore last year, and it was added to my wishlist immediately. There are so many amazing sounding recipes in this book, and I’m excited to share my discoveries with you over the next few months.